In association with the Wicklow County Council and the Wicklow Travellers Group, Abwood was commissioned to improve their facilities. Our bespoke wooden projects can be tailored to an specific requirements. Get in touch to discuss any upcoming projects you may have. 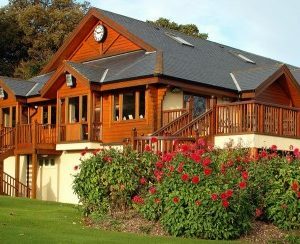 Our timber homes can be custom built to your own specifications. We build everything from small units suitable for home offices, teenage retreats, utility rooms etc. to dwelling houses and larger buildings. The example shown here is of a custom built timber home. The use of recycled roof slates adds character and charm while the design takes full advantage of the beautiful rural setting. The price depends on design and specification, e.g. the level of electrical fittings, plumbing, etc. required. 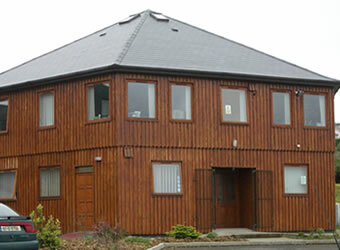 All buildings are constructed in accordance with current Building Regulations. 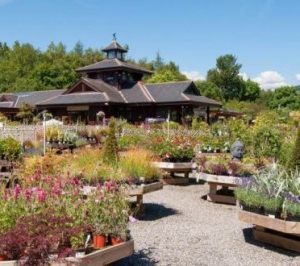 The National Garden Exhibition Centre is a beautifully designed bespoke timber building located in Kilquade, Co. Wicklow. If you have any upcoming bespoke timber projects that you would like to discuss please do not hesitate to get in touch. 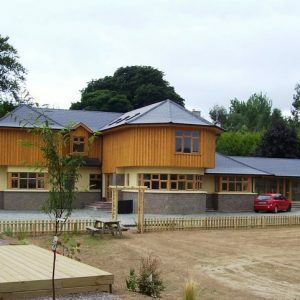 This wooden golf house construction is located in Bray, Co. Wicklow. If you have any upcoming bespoke timber projects that you would like to discuss please do not hesitate to get in touch.